Welcome to King Park Dental, conveniently located near downtown Oshawa. We know that there are many choices for your dentist in Oshawa. That's why we work hard to get to know each and everyone of our patients so that they look forward to their next visits with us. Here, we work with our patients to set long term goals for their oral health! Our mission is to help our patients accomplish these goals in a painless, compassionate, and efficient way. We aim to educate our patients in a safe environment while offering them necessary comprehensive care. We understand that many people have anxiety about dental treatment, so we created a soothing environment so that you can relax when you come for your dental appointment. Dr. David Lee was born in Hong Kong and moved to Vancouver, British Columbia at the age of 3. After completing high school, Dr. Lee was accepted into the highly respected Bachelor of Health Sciences program at McMaster University. He completed his dental training at the prestigious Schulich School of Medicine & Dentistry at Western University and graduated with Distinction. Dr. Lee strives to provide the best care and services to the patients of King Park Dental Oshawa, with his regular continuing education and use of technology. He is a member of both the Canadian and Ontario Dental Association, as well as the Academy of General Dentistry. Conveniently, our dentist is fluent in English and Cantonese Chinese. Dr. Lee is happily married to his wife, Christy. In their leisure time, they enjoy travelling with friends and family. He likes to stay active by playing basketball, badminton, and golf. Dr. Lee looks forward to meeting you and being your top choice for dentist in Oshawa! Dr. Thomas Yoon grew up in Etobicoke, and attended the University of Toronto, graduating with a specialist degree in Human biology. He later attended the University of Saskatchewan to obtain his Doctor of Medical Dentistry (D.M.D). Upon returning to the GTA, he worked in dental offices and also for the Canadian Forces, proudly providing dental services for our armed forces. As a member of the Ontario Dental Association and the Canadian Dental Association, Dr. Yoon remains on the cutting edge of dental technologies and treatments. 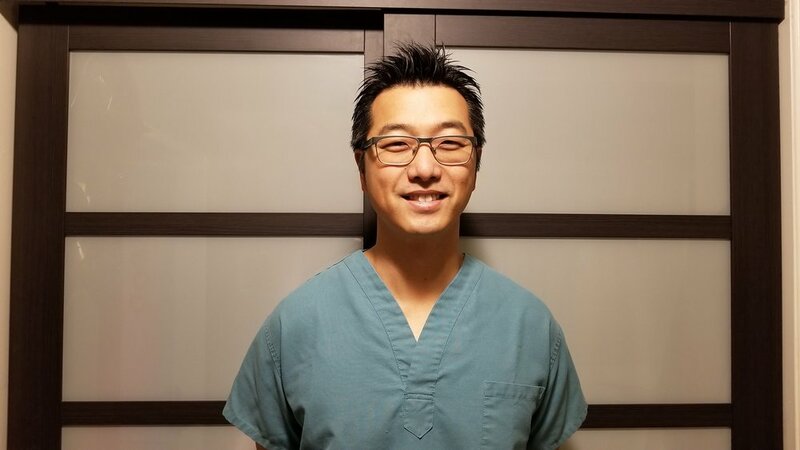 Dr. Yoon realizes that dentistry can change lives in many ways and he always strives to provide the highest standard of care to his patients. Away from the office, Dr. Yoon enjoys spending time with his wife and newborn son. He can also be found reading up on history, going to movies and exercising. Dr. David Leung was raised in Toronto, Ontario where he attended Upper Canada College for high school. He then attended New York University where he received degrees in Finance and Biochemistry. Following his undergraduate degrees, he moved to Philadelphia where he attended the prestigious Ivy League's University of Pennsylvania School of Dental Medicine, receiving his doctorate and periodontics training. After his dental training, Dr. Leung returned to Canada and completed his Fellowship examination with the Royal College of Dentists of Canada, certifying him as a specialist in periodontics. As a periodontist, he is an expert in gum grafts, bone regeneration, dental implants, and deep cleanings. He has been placing dental implants since 2001, and is a clinical instructor at the University of Toronto, having lectured at many schools and conferences in the United States. Our patients really appreciate Dr. Leung's meticulous work and wonderful personality! Dr. Leung enjoys spending time with his wife traveling, cooking, and watching sports. He looks forward to working with you at King Park Dental Oshawa.